Singapore is a few hours away from the Philippines, making the small city-state one of the top destinations of Overseas Filipino workers (OFWs). 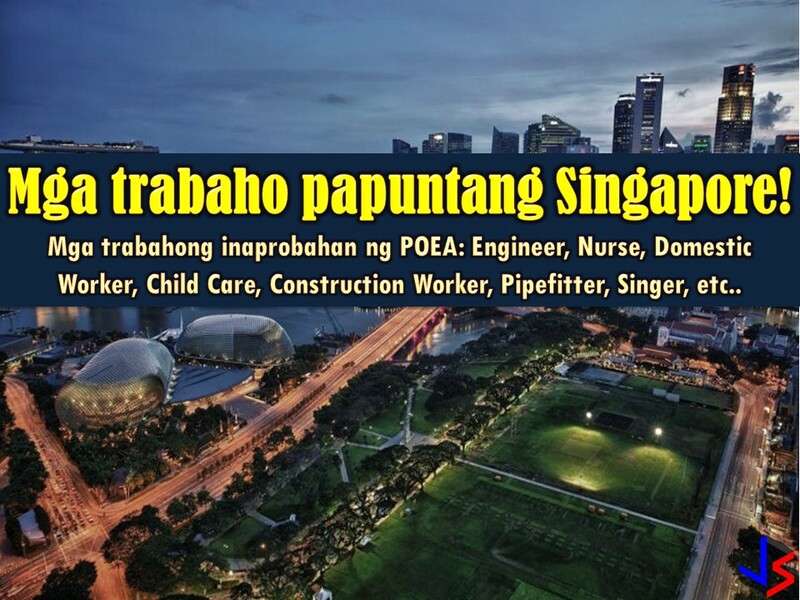 Every month the country is hiring Filipino workers in the different fields. Filipino domestic helpers or Filipino maids are also in demand in Singapore as well as nurses, engineers and construction workers, among others. If you are interested in working in Singapore, check this latest job orders from the employment site or job site of Philippine Overseas Employment Administration (POEA) this month of May 2018.